With nearly 30 years of diverse financial leadership experience, Steve Juarez has helped numerous companies improve profitability through strategic approaches and financial best practices. (Don’t miss his insights on Supply Chain Management as well.) And for companies experiencing profit erosion, Steve’s analyses have resulted in million-dollar-plus profit turnarounds. So when Steve talks about the significance of “effective costing” – and its impact on profitability, we listen. In this blog, we’ll take a deep dive into Steve’s insights on effective costing: what it is, why it’s important and how to leverage costing inputs to improve the visibility of your company’s key drivers of profitability. Q: What do you mean by “effective costing”? A: Well, let’s start in broad terms. Costing describes the inputs or components that help you assign costs to various element of business – and from that cost data, key decisions are made in regards to your company’s profitability. 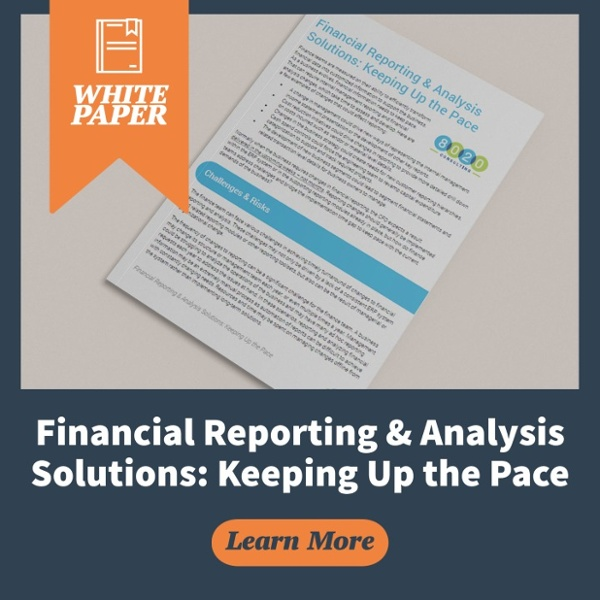 Many companies believe they have systems in place that will help them leverage costing data when the time comes to make important, granular decisions. But in reality, that information may not be as readily available as they thought. So when I talk about effective costing, I’m basically referring to configuring your system in a way that DOES allow you to drill down into the key components needed to make important decisions. In other words, effective costing allows you to trace back to your inputs — and analyze the sources that lead to profitability or loss. Q: What types of decisions can be made through effective costing? A: Pricing is a big one. At the end of the day, effective costing provides answers to a host of pricing questions: Is a price point excessive? Or excessively negative? What’s your profitability at different price or volume levels? What is your pricing flexibility – for example, can you allow a lower price in certain situations? Do your products share common resources which, in turn, could affect pricing? Those are just some of the many pricing questions that can be evaluated and determined by accessing your costing inputs. Q: Is effective costing used to make critical decisions apart from pricing? Q: Can you talk a little more about how to leverage effective costing for profitability? Make or buy? Should parts be made in-house, or outsourced through an outside supplier? And what are the opportunity costs for each scenario? New vs existing? Should your company invest in new product development and building new markets? Or is it better to drastically improve existing products? Where are your opportunities? What is your most profitable sales channel? B2C Internet sales? B2B retailers? Distributors? Also, what is your profitability by product – and by customer? These questions are all pieces of a chain. And by effectively analyzing each piece, or each costing input, you can better evaluate the key drivers of big-picture profitability for your organization. Q: Does effective costing apply only to manufacturing and distribution companies? Cost per action – applying cost metrics to online behavior tracking, such as pay-per-click, click-through rates, etc. Q: Given that costing is directly tied to profitability, what advice would you give to a company experiencing profit erosion? A: I believe that one of the most powerful and underutilized tools is contribution margin analysis. This is a product’s or service’s price less the associated variable costs which shows earnings available to pay for fixed costs and generate varying levels of profitability, depending on volume and pricing levels. I would encourage companies to leverage this metric across a broad swath of decision points – by product, by customer, by sales channel, and so on. From a consulting standpoint, I’ve been able to “redimension” a company’s profitability profile by applying this type of analysis to many of the costing inputs mentioned previously. 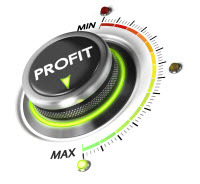 This approach has uncovered key insights in identifying the source of a problem (for example, profit erosion for a particular product), and more importantly, has revealed some very profitable solutions with respect to pricing. All in all, applying a contribution margin analysis has proven to be an incredibly powerful tool in helping companies gain critical insights on cost and pricing. If you’d like to learn more about costing, then contact us for more information. We have a team of consultants that can help you be more effective in your approaches.